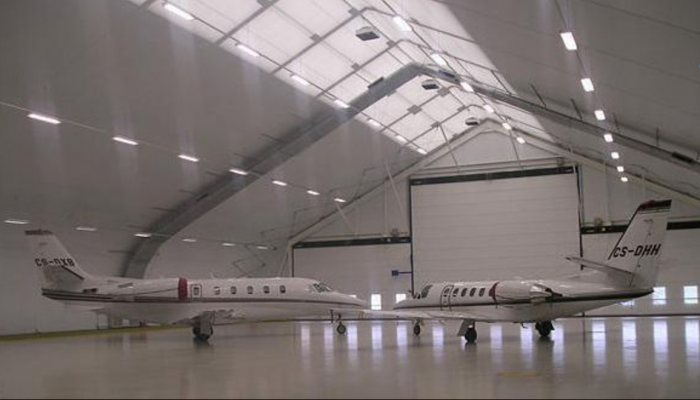 IRMARFER structures are large enough to house commercial or military aircraft of almost any size. 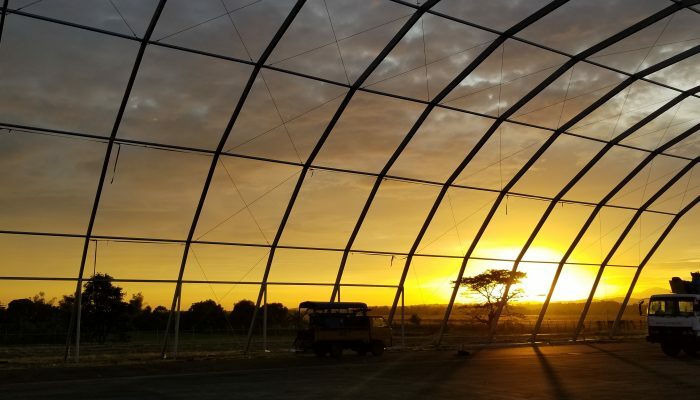 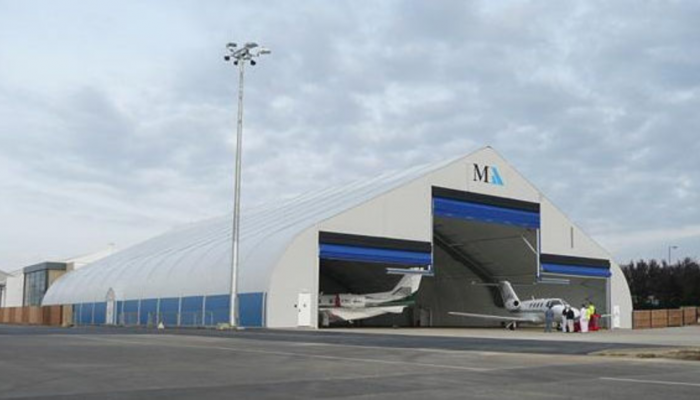 Temporary and long-term aircraft hangar structure rentals are available. 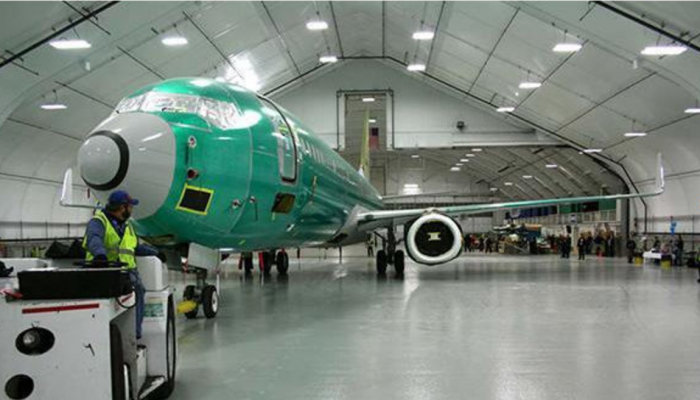 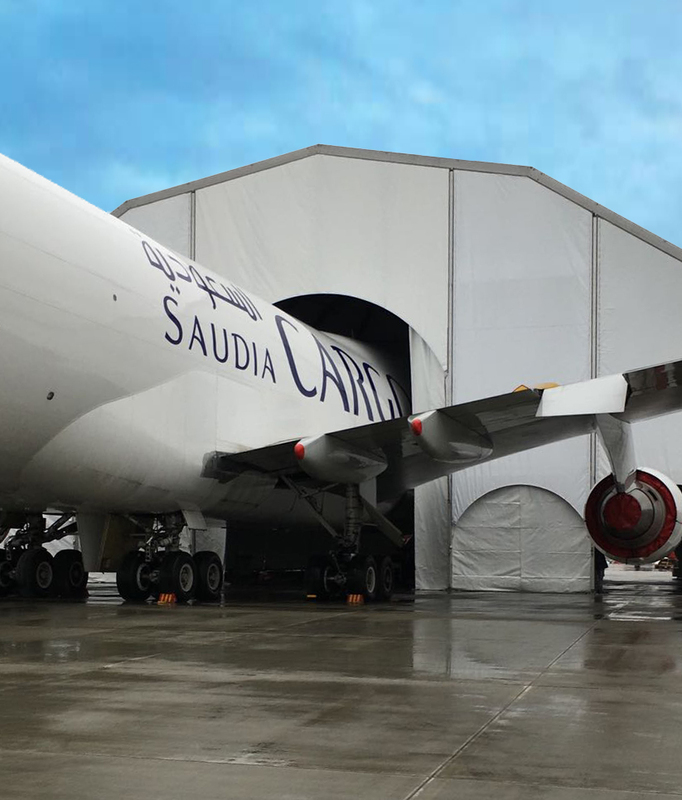 Create a temporary repair facility for aircraft of any kind. 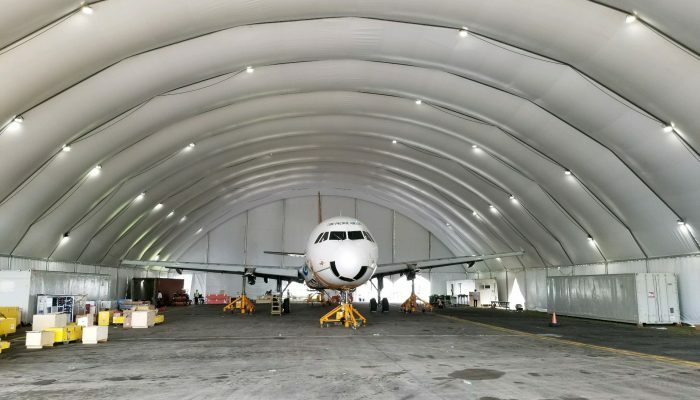 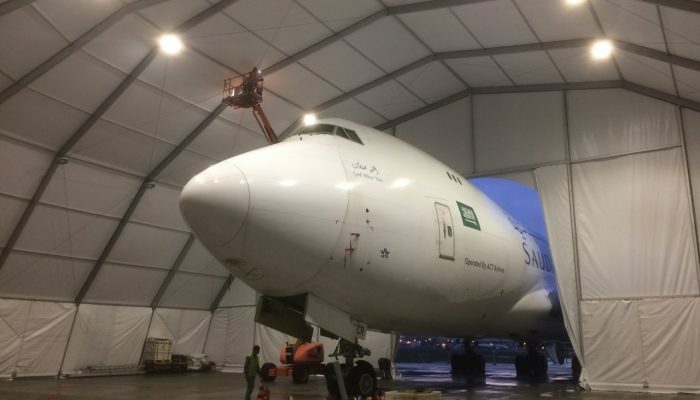 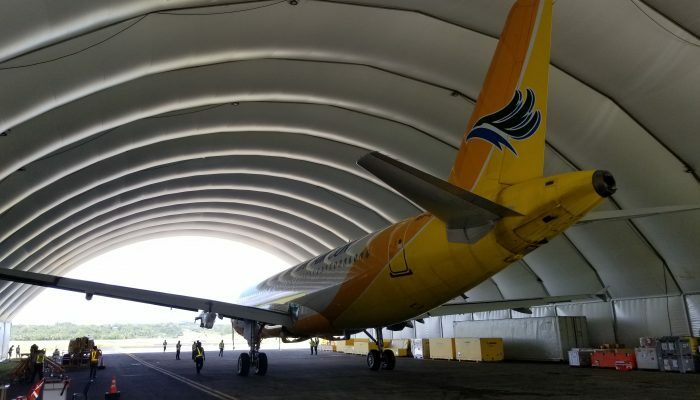 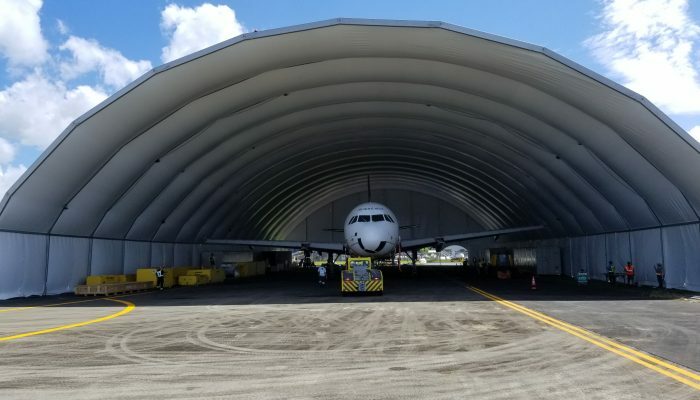 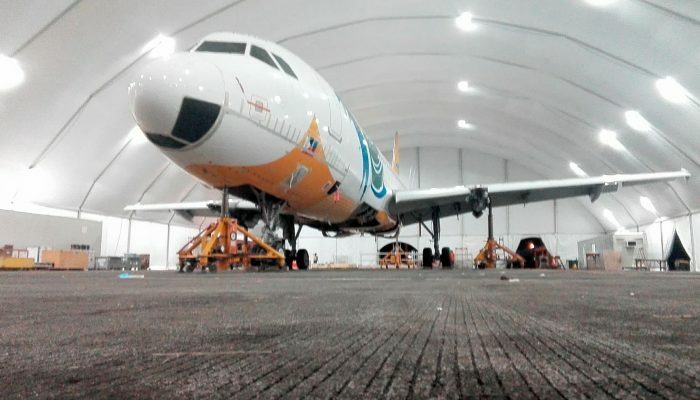 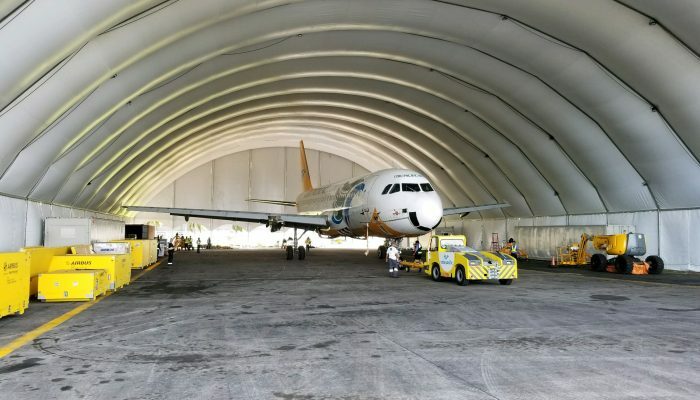 With spans of up to 90 meters, and hangar doors available, IRMARFER has a solution for all of your aircraft storage needs.